This flavor is all-natural spicy, bold with aromatic taste. Very impressive health and metabolism flavor content. 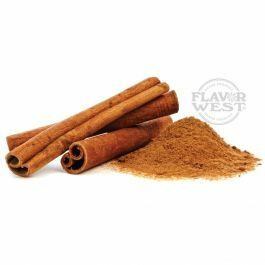 Use cinnamon flavor to enhance coffee, chocolate or any of your treats. Type: Cinnamon Water Soluble Flavoring. Ingredients: Natural and Artificial Flavoring, Propylene Glycol. USP Kosher Grade Flavoring. Usage Rate: 15-20% for E-use. Flavor suitability: beverages, chocolates, drinks, vegetables, fruits and chocolate desserts, caramel, bakery recipe and more. Specific Gravity: 1.17 No Refunds on Flavoring. This is a light delicate cinnamon, not strong. Gives a powdered cinnamon flavor.